V.M. 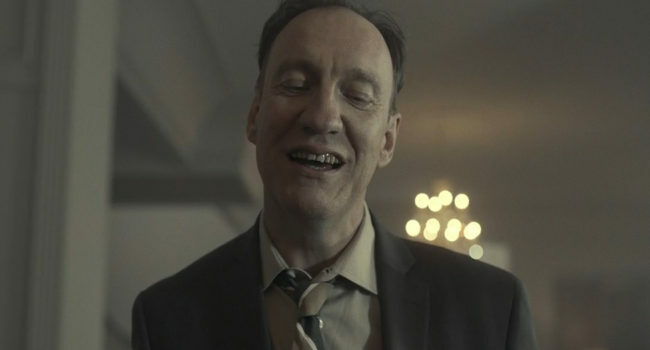 Varga (David Thewlis) is the main antagonist from the third season of Fargo. he is a mysterious loner and founder of Narwhal, a company that consumes Emmit Stussy’s parking lot empire. He appears to only own one set of clothes despite apparently being a multi-billionaire, has a mouth of badly rotten teeth, and his entire background is a vague mystery.